Future planning for a child with a disability is essential for parents whose son or daughter needs lifelong support and encouragement. 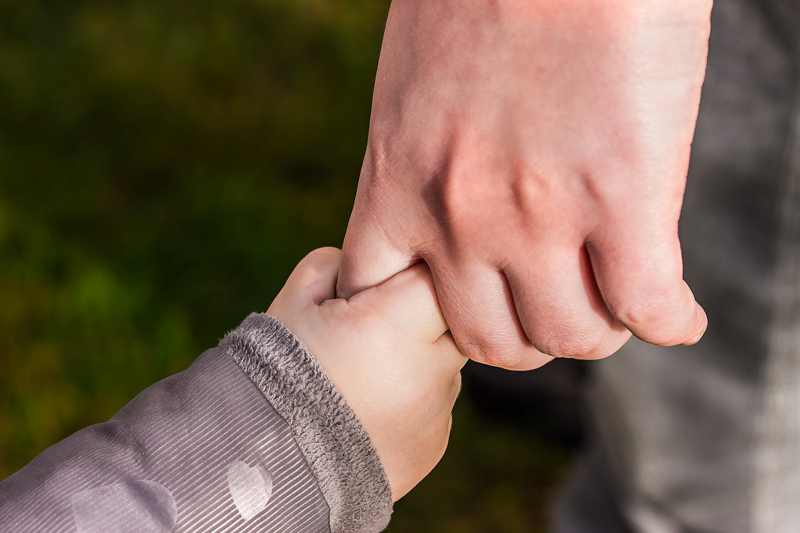 Parents of young children should consult legal experts about writing a will with provisions for a Special Needs Trust. Local and regional Arc groups may offer workshops led by disability attorneys on these topics. Parents of teenagers should find support and information on transition issues. It may seem a bit overwhelming dealing with the paperwork and interviews while learning about transition issues like guardianship, applying for SSI, post high school education and training, housing options, food stamps, supported employment and self-employment. It is important during these years to schedule time to take a break and have fun with your family, and to enjoy your favorite pastimes with your son or daughter to balance out the time either of you spend tangled up in bureaucracy. Simple pleasures and grand events can renew and inspire us in our relationships. Don't let drudgery crowd out the quality time we deserve with one another. Take each program one step at a time, and remember that your efforts will make a big difference in your son or daughter's opportunities in life and richness of experience. The transition years have an emotional component that can be close to paralyzing, so remember to surround yourself with support and encouragement now just as you did when your child was newly diagnosed. Renew yourself through existing friendships and an occasional weekend getaway. Your friends need you as much as you need them. Suggesting to grandparents and extended family members that any financial gifts directed to the individual with a disability should be through a special needs trust can be a delicate negotiation. Bequests through a will, and even income from paid employment, can interfere with a young adult's health coverage, ability to participate in special population programs, SSI eligibility, vocational and housing programs. It might be helpful to ask older family members if they can help you understand an article or a chapter in a book about wills and trusts for teens and adults with disabilities, rather than to present yourself as a resource and not be able to answer every question. Their attorneys may be unaware of the specific requirements for these trusts, so you may want to ask them to have their attorney check over the information as a way to introduce it to the mainstream legal community. Primary caregivers, especially single parents, can feel overwhelmed during transition years by the number of forms and programs, interviews and legal documents required to introduce their son or daughter into adult programs and services. Paperwork and interviews may need to be reviewed yearly, some monthly; guardianships renewed every one to three years; and changes in government programs may create new challenges at any time. Our sons and daughters with disabilities may develop additional health problems or may face greater challenges from chronic health conditions and other developments. They may have greater expectations for independence, social relationships, jobs and travel. Loss of family members who hold significant positions in the lives of young adults can cause a crisis of care as well as long term grief responses. Although there are programs available throughout the country that address some or each of these issues for the individual with special needs, primary caregivers may be overwhelmed by the complexities of being case manager, administrative assistant and ambassador for their adult son or daughter. Some organizations are developing resources, information and support for families of young or aging adults with disabilities. Contact your local ARC or advocacy group, or mainstream groups like the AARP for resources in your community. Often, if a young adult has had life-long significant care needs or a chronic health condition, the primary caregiver has not been able to seek or hold employment that has allowed planning for his or her own future. Single low-income mothers may have gone without work or adequate wages to afford health insurance, a savings or investment plan, the ability to buy a home or even dependable transportation. Struggling single moms may be less able to negotiate with paid staff or medical professionals for better support of their grown children than middle class married couples or financially secure parents. There are older women living in poverty throughout the United States whose son or daughter has found a supported living arrangement, who are themselves left with very few options to help support and encourage their children in their later years, or to support themselves, live in a decent home or neighborhood, afford food or health care, or other basic necessities of life as they continue to age. Adults with disabilities who live in group homes or other assisted living arrangements need family relationships and continuing advocacy to make sure their health and safety as well as social needs continue to be met. Our adult sons and daughters need our advocacy more than ever as they age. These are years when parents most want to help out and not to be a burden for their grown mainstream children, those years they need their own independence and also want to celebrate milestones, keep the family together, and to help out each of their children during difficult times. Single moms who have spent their prime wage earning years as unpaid caregivers of sons and daughters with disabilities face a very uncertain future also if their grown son or daughter stays at home. Services and respite care for adults in the care of aging parents may diminish rather than increase. Health problems or medical emergencies can create insurmountable problems for women who have willingly sacrificed themselves for the sake of a son or daughter with a disability. For parents who depend on the small income received as a caregiver to keep their household going, the hospitalization of their son or daughter can have devastating consequences. When the worst outcome happens, the grieving parent can be left with no income at all, no savings or resources, not even social security retirement. We need to look at all the issues facing aging parents of vulnerable adults with disabilities. In the coming years the challenges of our present economic crisis will affect families who were fortunate to have lived the American dream and thought they had the security of a comfortable retirement ahead. The effects on parents who had little or nothing to lose could be devastating. Future planning for our sons and daughters with special needs is more important now than ever. But don't forget we will still be enjoying the small and great pleasures our families bring us every day. Special Needs Planning - What happens when parents die?